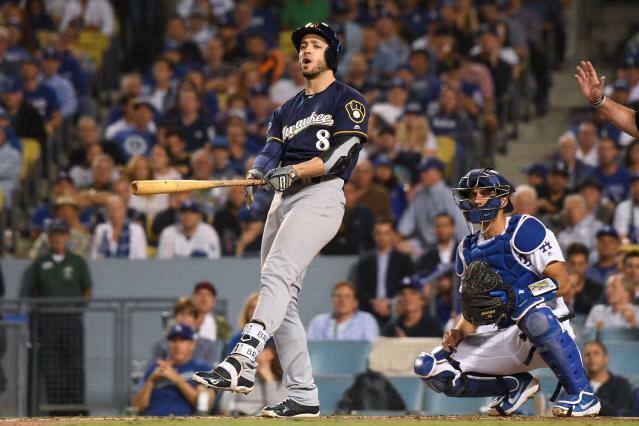 The Milwaukee Brewers will be without Ryan Braun during their exhibition series in Montreal against the Toronto Blue Jays this week. The reason why is not an injury, but apparently a simple case of a packing checklist gone horribly wrong. Obviously, this is very unlikely to hurt the Brewers or Braun in any significant way. It’s two exhibition games against an opponent the Brewers are extremely unlikely to see again this season. Really, it’s just a comical way for Braun’s spring training to come to an end. The 35-year-old Braun looked just fine in Cactus League action, hitting 318/.400/.455 in nine games for the defending NL Central champs. The Brewers will also reportedly be missing first base coach Carlos Subero for passport reasons, though Subero has a much more valid reason to not be able to travel internationally. The #Brewers also are without first base coach Carlos Subero. He was unable to get his passport renewed in his native Venezuela. As we all know, things are unsettled there with the government at present. Just three days until Opening Day, everyone.